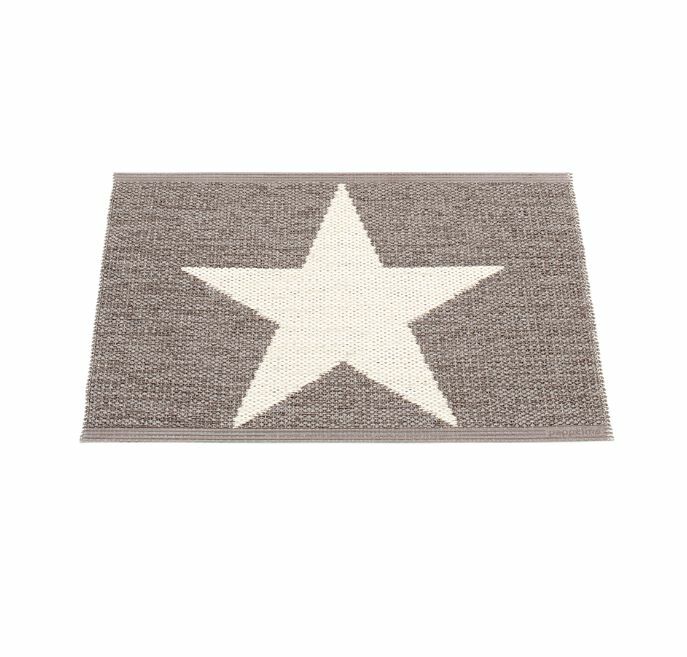 Rug woven Kunstofffaser in brown brown with star in cream, cream back in with star. Size approx . : 70 x 50 cm. This is a robust and easy-care carpet. 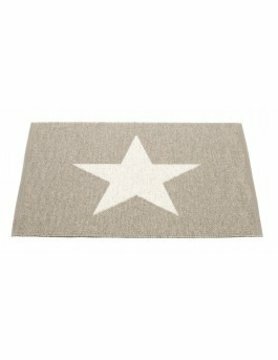 Ideal for the bathroom or the Eingangsbereicht. The carpets are manufactured in Sweden under strict quality control on traditional looms.